Experiencing Problems with your Wall Oven? If your oven is not heating properly or does not bake at the temperature that you set it on, then your temperature sensor may be malfunctioning or there could be a problem with your oven control board. If you have an electrical oven then the bake element has gone bad. There could also be a wiring problem or with the electronic control board. This could be due to a defective clock assembly, a defective selector switch or a wiring problem. Wall Oven: Cooks a a higher temperature than it is set on. This may be due to defective bake element, defective thermostat or wiring. If your oven bakes but does not broil then there could be a problem with the broiler element in electric oven. For a gas oven it could be a problem with broiler burner. Other things that can cause this issue could be a wiring failure, a failed electronic control board or control thermostat. In a gas oven the problem could be due to a failed oven igniter or gas valve. If your oven doesn’t work at all the cause could the electronic control board has failed. You could also check you do not have a tripped house circuit breaker. If your oven door does not open after a self-clean cycle then let the oven cool to room temperature and try to unlatch it. You could also turn off the circuit breaker for a few minutes, turn it back on and then try unlatching the door. If it still does not open then most probably the cause is that the oven door lock assembly has failed and needs to be replaced. 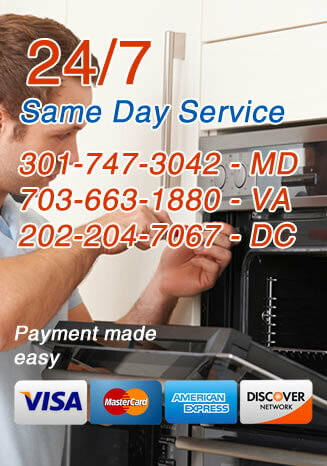 Call Oven Repair DMV today. Our service area is Northern Virginia, Maryland and Washington, DC. Get a qualified certified oven repair specialist. We provide 24/7 emergency repair and same day service. I was highly impressed with Oven Repair DMV. My oven had a problem on Christmas day when I was cooking dinner. I called them and they were at my house within a few hours. The technician was skilled and in no time repaired my oven. Thank you Oven Repair DMV! I have a Maytag oven. The oven was not heating food properly. I called Oven Repair DMV. The technician was punctual and quickly repaired my oven. I have used many appliance repair companies, but this one exceeded my expectations. I love this company. I have a GE Oven. I needed a new heating element. I called them and they were promptly at my house. The technician was efficient and courteous! Their prices are reasonable. I highly recommend them. 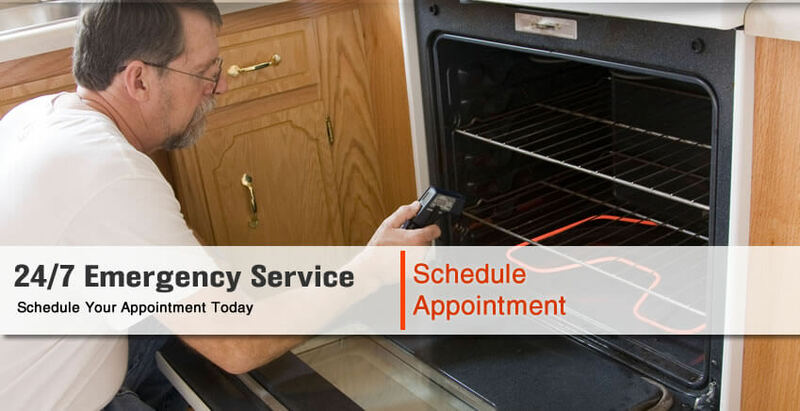 REQUEST A SERVICE CALL FROM OVEN REPAIR MAN NOW!